Chinese chicken with egg fried rice | Life's Conundrum - Eat to Live or Live to Eat? 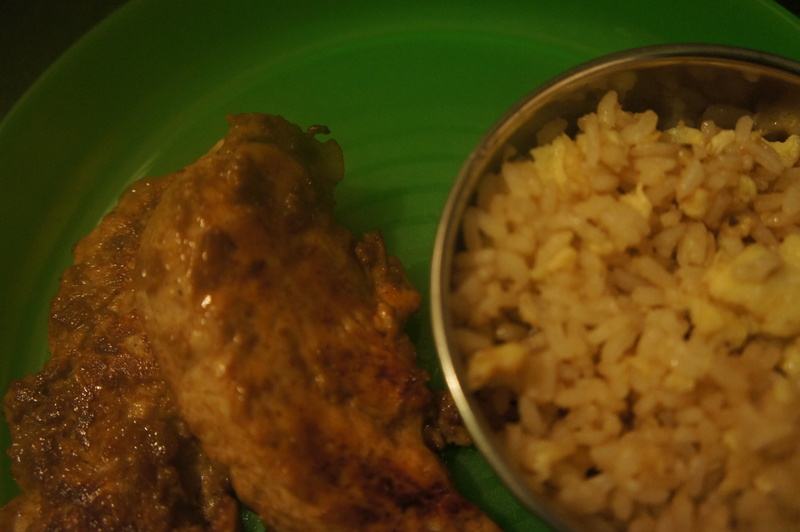 A chance discovery that our son likes egg fried rice led us to try a new Chinese marinade on them tonight. Whilst the kids found it slightly sweeter than they are used to, the marinade is quite tasty and can be tweaked to suit your own child’s palate. Place all the marinade ingredients in a mixing bowl and adjust the seasoning before adding the mini fillets. 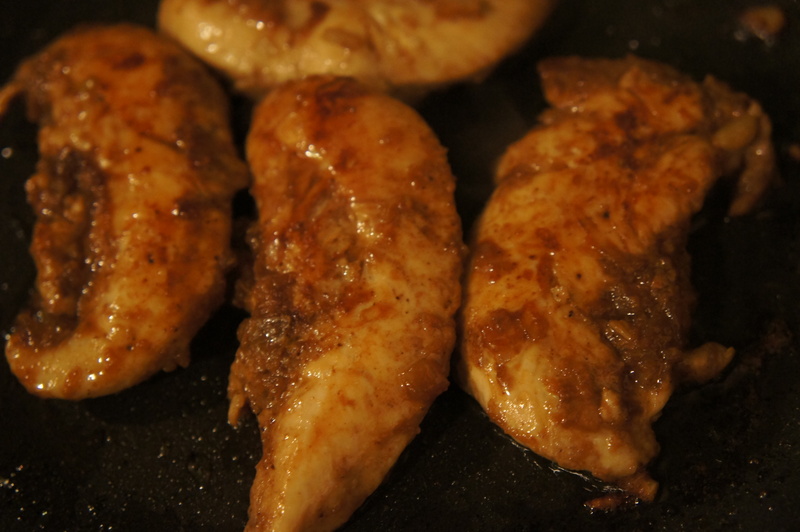 Refrigerate the marinaded chicken for a few hours before cooking. Heat a sauce pan on medium and add a teaspoon of vegetable oil – add the chicken fillets and cook on both sides till done. Serve with french fries or a bowl of egg fried rice (recipe below). Heat wok and add vegetable oil to it. First add the garlic and saute for 30 seconds before adding the beaten eggs. Scramble the eggs by constantly stirring. Once done add cooled cooked rice and mix well. Add soya sauce, toasted sesame seed oil and adjust seasoning. Serve hot. 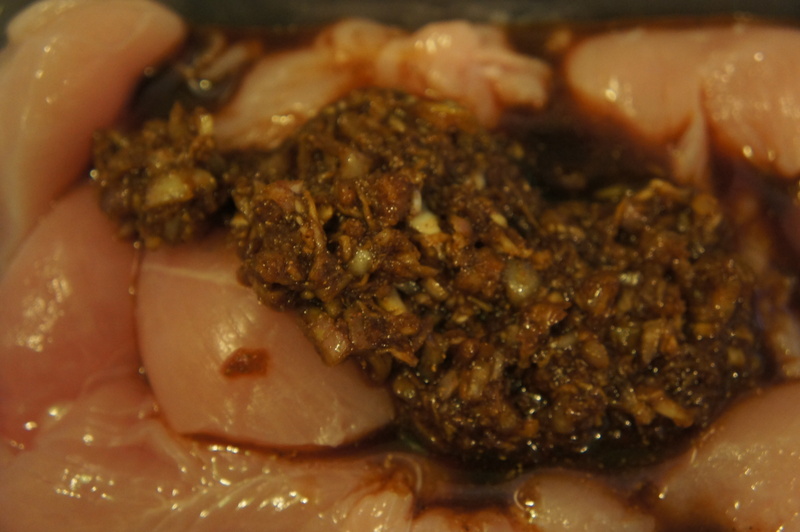 Posted on January 20, 2014 by Anna and Shiv	• This entry was posted in Kids meals, Recipes and tagged chicken fillets, dark soya sauce, egg fried rice, marinade ingredients, sesame seed oil. Bookmark the permalink. Pingback: Chicken Fried Rice served nicely with the chicken balls on my previous posting.